World-class detective Kiyotaka Narumi’s last words prior to his sudden disappearance continue to haunt his younger brother, Ayumu. The cheeky 10th-grader becomes equally embroiled in the mystery of the doomed “Blade Children” when he is mistakenly named the prime suspect in a murder at his school. Led by Ayumu’s sister-in-law, Kiyotaka’s wife and fellow detective, Madoka, the investigation into the murder gives Ayumu a chance to clear his name. But in doing so, he not only uncovers ties to the Blade Children but also more questions than answers about who and what they are. World-class detective Kiyotaka Narumi’s last words prior to his sudden disappearance continue to haunt his younger brother, Ayumu. The cheeky 10th-grader becomes further embroiled in the mystery when he is mistaken for the prime suspect in a murder at his school. Led by Ayumu’s sister-in-law, Kiyotaka’s wife and fellow detective, Madoka, the investigation into the murder gives Ayumu a chance to clear his name. But in doing so, he not only uncovers ties to the Blade Children but also more questions than answers about who and what they are. 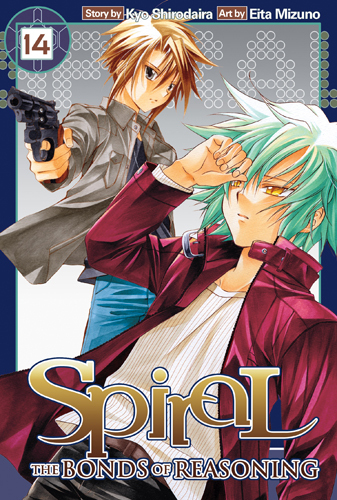 Ayumu Narumi aggressively pursues his goal to unravel the mystery of the “Blade Children.” With every step he takes, though, the path to the truth becomes more treacherous as a conspiracy is revealed. Could it be that Ayumu’s fate was intertwined with that of the Blade Children even before his journey began? When one of Ayumu’s teachers promises to give him a few clues about the Blade Children, the deceptively cute Rio, one of the Blade Children herself, ruthlessly murders the man in broad daylight. Faced with another brutal murder to solve and one step closer to finding out what the Blade Children really are, Ayumu and Hiyono find themselves the direct targets of Rio’s malice. When her murderous plot backfires and Rio finds herself in the hospital, she challenges the visiting Ayumu to a life-and-death gamble, only to find herself face-to-face with Hiyono, who call’s Rio’s bet and raises her one! When Hiyono turns the tables on Rio and Kousuke and demands a rematch for Ayumu, she ends up getting kidnapped! However, it looks like there’ll be a rematch after all. In exchange for his trusty information dealer, Ayumu must hand over Hiyono’s hard evidence against the Blade Children…in one of Rio’s devilish games! Will Ayumu’s pride be his downfall? The Blade Children are on the alert as the first “hunter”—Kanon Hilbert, a fellow Blade Child and Eyes Rutherford’s childhood friend—is sent to eradicate them. To shore up their defenses, Eyes seeks the cooperation of track star Ryouko Takamachi, a Blade Child who despises both him and Kiyotaka Narumi. Well aware that Eyes won’t take “no” for an answer, Ryouko decides to let her physical prowess speak for her and challenges him to a simple game of dodgeball…or is it? With Kanon ready to start hunting down the Blade Children one by one, Ayumu finds himself in the thick of things as the hunter vies for his allegiance… at gunpoint! But even when both Eyes and Rio are in his deadly sights, Kanon’s plans are thwarted by his own promise to not harm any non-Blade Children when everyone’s favorite school newspaper reporter, Hiyono, stops him in his tracks! Why is she fighting alongside the Blade Children? And which side will Ayumu choose? Though Ayumu is steadily losing confidence, the Blade Children are gearing up to act against Kanon’s threat. Claiming the newspaper room as their temporary headquarters (much to Hiyono’s dismay), Rio, Kousuke, and Ryouko organize their offensive with an array of modified anesthetic weaponry to take down their former friend. But when Eyes makes an unexpected recovery, Kanon is pressured to make his move, putting Ayumu and the entire school in danger. How will Ayumu’s logic and reasoning fare against Kanon’s brute violence? Kanon is startled by the sudden arrival of Madoka Narumi, but not so much as to shake his aggressive offense. Still, it’s enough to give Rio the chance to rescue the captive Ayumu. 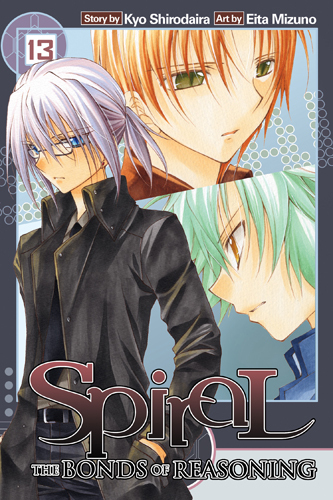 Free at last, Ayumu must face the difficult decision that lies before him. Is his only option to kill Kanon? As the Blade Children fall back and lick their wounds, Ayumu must find a solution to end Kanon’s reign of terror once and for all, even if it means becoming a murderer himself. Hiyono’s gamble has bought Ayumu some time, but is ten minutes long enough to reason out an effective plan? Ayumu kicks his mind into overdrive, orchestrating a series of wave attacks designed to overcome Kanon’s incredible fighting skills. But should any member of his already battered team miss their mark, it could mean death for them all. As the players move into position, Ayumu stands to face Kanon in what will be their final showdown. The battle with Kanon may be over, but it’s going to be some time before Ayumu and the others fully recover from the ordeal. As the police and media casually sweep the entire incident under the rug, Ayumu realizes he’s no closer to solving the mystery of the Blade Children. But a month in the hospital is a prime opportunity to gather information from his fellow inpatients, who seem ready to confide the secrets of their curse. A dark and dangerous path lies ahead…Has Ayumu grown strong enough to face it? Ayumu prepares to leave the hospital, still mulling over the murderous role fate has for him to play. But if Hizumi is destined to die at Ayumu’s hand, why does he seem so eager to be friends? Far from bloodthirsty, the good-natured Hizumi has been living in Ayumu’s apartment since the Kanon incident and intends to stay on as Ayumu’s roommate! Hizumi claims to have accepted the cards fate has dealt him, but can he really be so complacent about his own death? Hizumi’s “happy high schooler” facade begins to crumble as Ayumu confronts Kirie about Hizumi’s cheerful acceptance of the fate that awaits him. Big brother Kiyotaka has always cast a shadow over Ayumu’s life, but what kind of despair has Hizumi known that would make him so ready to die? Hizumi still hasn’t laid all of his cards on the table, and his next play could take out one of the Blade Children for good. 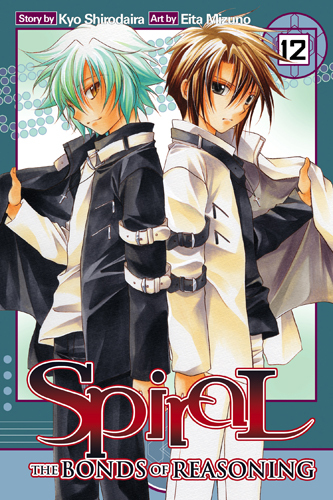 When Kirie’s DNA tests on Ayumu, Hizumi, and their respective older brothers yield shocking results, the disgruntled Watcher confronts the only two people who can confirm the truth of Ayumu’s parentage: his mom and dad. What she learns shakes her to the core, but how will Ayumu react when Hizumi reveals how science has warped their fates? Will Ayumu’s resolve to save the Blade Children remain firm, or will anger and despair cause him to waver? Hizumi makes his final plea, begging Ayumu to accept the fate that has been forced upon them. By killing Hizumi and taking out Kiyotaka before his own natural demise, Ayumu can remove all the supernatural pieces on the board. After all he’s been through, Ayumu certainly intends to meet his brother, but will he face Kiyotaka in the name of defiant hope — or broken surrender? 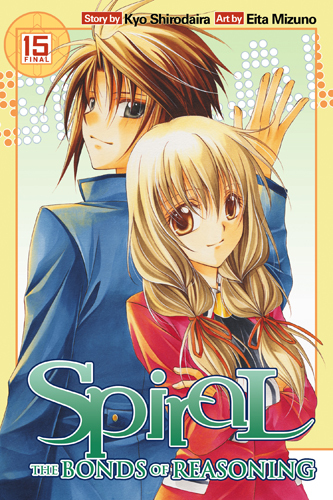 That may depend on Kiyotaka, as he reveals his last cruel twist of the plot in the final volume of Spiral.